My father, Dr. Charles Julian Barton, Sr., is still living. At the age of 95 he is one of the last of his generation of scientists in Oak Ridge. He was recruited in 1948 to do research at Oak Ridge, first at the Y-12 plant, but for most of his Oak Ridge career he worked at X-10, the main location of ORNL. For most of his Oak Ridge career, my father worked under Alvin Weinberg's direction. In particular he worked on the Aircraft Nuclear Propulsion and the Molten Salt Reactor Projects. The Lab was very higherarchical, and Weinberg was the big boss. Science is based on integrity. Without integrity, there is no truth in science. My father is a man of exceptional integrity, and so was Alvin Weinberg. Weinberg was aware of both the promise and the dangers inherent in the reactor. During the 1960's Weinberg directed a series of tests at ORNL, designed to verify theoretical assumptions made about the safety of light water reactors being pushed by the AEC for the generation of electrical power. The results were disturbing to Weinberg and his staff. The standard design of light water reactors was shown to have serious safety flaws. Weinberg began to warn people within the industry about the problem. For Weinberg superior safety was one of the most important features of the Molten Salt Reactor design. Weinberg regarded the AEC's commitment to electrical power generation through light water reactors as irrational. Not only were they less safe than other designs, but also they could not be used to breed new fissionable materials. The Molten Salt Reactor could was an ideal atomic breeder that could produce more fuel than it consumed. A generation after the controversy, Weinberg's brilliance is fully appreciated, but at the time, Weinberg was a thorn in the side of the establishment. Powerful congressman Chet Holifield had it in for Weinberg because he saw Weinberg's reactors safety concerns as threatening the Atomic power industry. Holifield confronted Weinberg and said, "Alvin, if you are concerned about the safety of reactors, then I think it might be time for you to leave nuclear energy." Holifield was powerful enough to have Weinberg fired from his position as Director of ORNL. Weinberg's reactor safety concerns were vindicated in 1979 when coolant loss in the Three Mile Island-2 power reactor, lead to a partial core meltdown. Reading the details of the accident would not have comforted Weinberg, even though he had foreseen it. Yet the Three Mile Island accident did not cause the decline of the atomic power industry. Between the year of Weinberg's firing 1973, and the year of the Three Mile Island accident, 1979, 40 planned nuclear power plants were canceled. 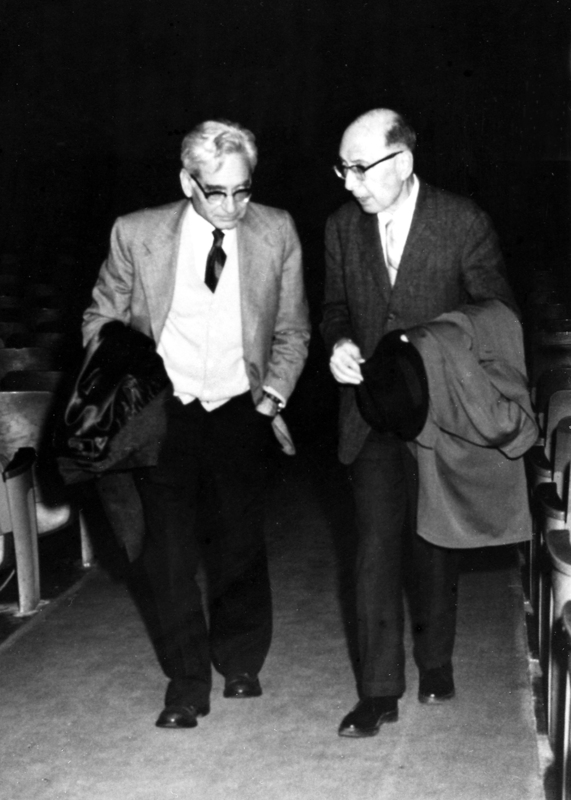 The First Nuclear age ended with Weinberg's firing in 1973, as he knew. When I worked at the ORNL in 1970 - 1971, the scientists there spoke of Weinberg with great respect. Weinberg was a visionary who believed that cheep sustainable power could improve the lot of the worlds poor. He envisioned technological complexes surrounding reactors transforming the lives of third world peoples. Weinberg was no mad scientist; he was am heir of the Enlightenment, whose vision was developed in a tradition. That tradition of vision was of a science based transformation of human life. That vision stretched back to Frances Bacon and Rene Descartes. Hopefully Weinberg was not the last of the technological optimists. There was also a dark side to Weinberg's vision, the side that acknowledged the danger that technology posed for the Human Race. During the last years of his career, Weinberg focused on the danger posed by the carbon-based economy. Charles, I have to say I'm envious, in a delightful way, of you having met Dr. Weinberg. As you know he is also the original heart and soul of liquid fueled flouride reactors, which I think is our next great step in fission. Great post on Weinberg. He's a rare guy in the history of energy: as tough on his own side as he is on the opposition.